Join us for the opening reception of ‘Luchita Hurtado. Dark Years’ at Hauser & Wirth New York, 69th Street. For more than seventy years, Luchita Hurtado has explored connections between the body and its larger context – nature, the environment, the cosmos – in an effort to express universality and transcendence. In her work, abstraction and figuration merge to mystical effect. Her multicultural life and career are reflected in the eclectic mediums and formal techniques of her oeuvre. Born in Caracas, Venezuela, in 1920, Hurtado immigrated to New York in 1928 and later lived in Mexico, the American Southwest, and Northern California. ‘Dark Years’ focuses on the artist’s early works from the 1940s to the 1950s, a period defined by prolific experimentation. The paintings and drawings on view range stylistically from surrealist figuration and geometric patterning, to biomorphic forms executed with expressive acuity. Assembled, they illuminate the emergence of a remarkable visual language and underscore the significance of Hurtado’s unique artistic contributions. 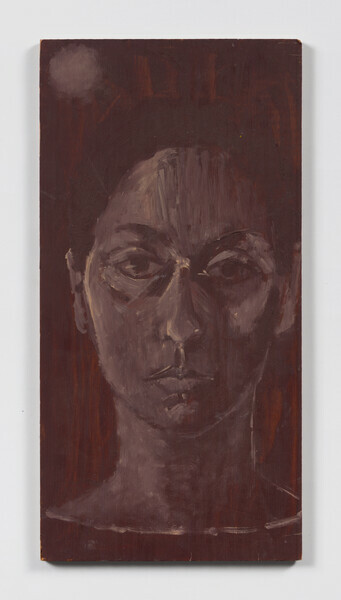 ‘Dark Years,’ Hurtado’s first solo exhibition with Hauser & Wirth, will be followed in May 2019 by her first solo institutional exhibition at the Serpentine Sackler Gallery, London.